But it wouldn’t be the first time that they had huge amounts of actives inside, while effect on the skin wasn’t not as near strong as with product from other companies with a lot lesser percent of actives in them. Our Maja ordered TO Peeling Solution and reported that it wasn’t that bad, so I borrowed hers for test run. I will leave bellow the video of that experience for my Slovenian readers as I speak in Slovenian language. Recap: my face was bloody red, I misunderstood Maja and left it on for 10 min … talk about heavy tingling. Effects were nice – polished, less flaky skin, less impurities after just few uses … Worth 7 EUR price tag for something I would use once a week. I do still buy Revolution products even though they copy everything worth copying. Quite frankly, they do such a poor job at copying + best thing from them is PRO range where they don’t do that much of that at all + collabs. I hope they will eventually get to the point, where their own ideas will be the only thing left in the assortment. Formula is a lot runnier and more watery and I could leave it on for 10 minutes without any problem. Effect was less than one I get while using enzyme peelings so I have no need for something that should be stronger and more effective jet it is not. I had soft skin and that was pretty much it. CONCLUSION: both bottles are glass ones with a dropper and 30ml of product. 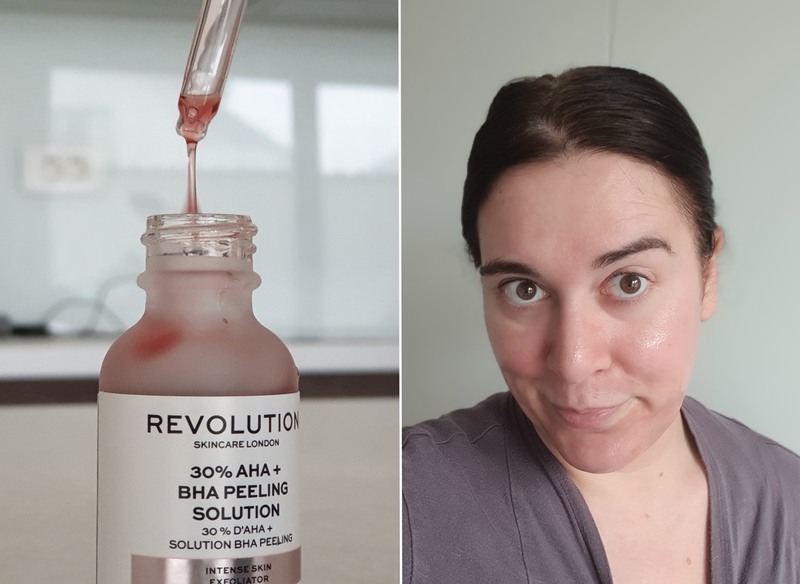 While Ordinary lists glycolic acid first and specifies 2% of BHA acids, Revolution just says it contains BHA. 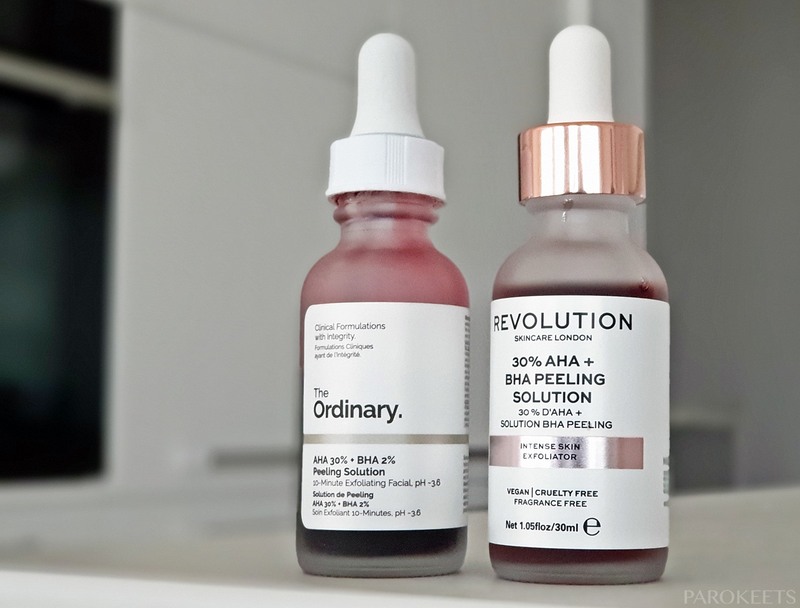 The Ordinary acid peel is stronger, with thicker formula and a lot more effective. SPF protection is needed after one or the other. Aqua, Propanediol, Lactic Acid, Glycolic Acid, Citrus Limon (Lemon) Fruit Extract, Glycerin, Butylene Glycol, Passiflora Edulis (Passion Flower) Fruit Extract, Ananas Sativus (Pineapple) Fruit Extract, Vitis Vinifera (Grape) Fruit Extract, Salicylic Acid, Alcohol Denat., Daucus Carota Sativa (Carrot) Extract, Xanthan Gum, Sodium Benzoate, Potassium Sorbate, Disodium Edta, Tasmannia Lanceolata (Pepper Tree) Fruit/leaf Extract, Sodium Bisulfite.